"Smart" is a word that can be heard most recently. In life, not only mobile phones are increasingly intelligent, but also some household appliances, machinery, etc. are moving toward the direction of intelligence. These terminals of mobile customers also force the instrument industry to become intelligent. If some instrument manufacturers want their own company to be at the front end of the industry, they will not be able to avoid the road to intelligence. In recent years, the development of intelligent measurement and control instruments has been particularly rapid. A variety of intelligent measurement and control instruments have appeared in the domestic market. 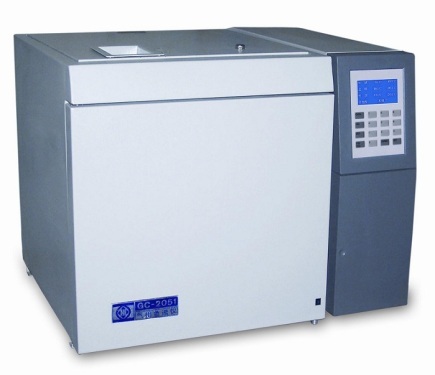 For example, intelligent throttle flowmeters capable of automatic differential pressure compensation, intelligent multi-stage temperature controllers capable of temperature control, and digital PIDs Smart regulators for complex control laws, and intelligent chromatographs that can analyze and process various spectra. Some experts also pointed out that there are three major trends in the future of smart instrumentation. â¤ Micro-miniature micro-intelligent instruments refer to microelectronics, micro-mechanics, and information technology, which have been integrated into the production of instruments, making the instrument a small, full-featured intelligent instrument. It can complete signal acquisition, linearization, digital signal processing, control signal output, amplification, interface with other instruments, and human interaction. With the continuous development of micro-electro-mechanical technology, micro-intelligent instruments, their technologies continue to mature, prices continue to decline, so their application areas will continue to expand. It not only has the functions of traditional instruments, but also can play a unique role in the fields of automation technology, aerospace, military, biotechnology, and medical care. For example, it is currently necessary to measure several different parameters of a patient at the same time and perform control of certain parameters. Usually the patient's body is inserted into several tubes, which increases the chance of patient infection. Micro-intelligent instruments can measure multiple parameters at the same time. And it is small and implantable in the human body, making these problems solved. â¤ The multifunctionality of multifunctionality is a feature of smart instrumentation and is therefore a major trend in the development of smart instrumentation industry in the future. â¤ Artificial intelligence Artificial intelligence is a new field of computer applications. The further development of intelligent instruments will include certain artificial intelligence, that is, replacing part of human mental work. The application of artificial intelligence in modern instrumentation enables us not only to solve a class of problems that are difficult to solve with traditional methods, but also to solve problems that cannot be solved by conventional methods.